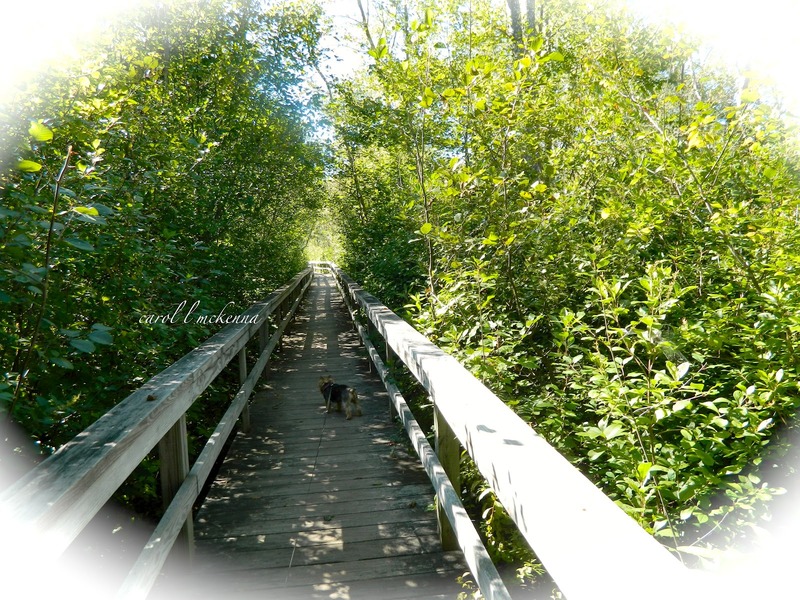 ArtMuse Dog and I on boardwalk at local Conservation Area ~ Delightful day walking and photographing nature in all its splendor. Weather was fantastic this weekend with just a 'nip' to the air. So we decided (like that 'we') to take a walk in a totally new place today. A friend had told me about this place and given me a map of the area so it was a new adventure for us. New areas always open my eyes to a different perspective with my creativity. I wasn't happy with the light; but, did get some good shots that I will be sharing later this week. Hope you had a good weekend also. Take some some and pop over to the above blogs and enjoy lots of creative bloggers. Hope you enjoyed our new photos. Love to have you here; sharing your comments. Wishing you a magical and wonderful week. looks like you had a wonderful walk and time in a new place. Wow Carol. What awesome photos. I was really impressed with the macro of the dragonfly. It is really superb. Have a super week. You did exactly what I plan to do in a couple of weeks when the fall foliage appears--take my new puppy to Bernheim Forest for a photo shoot. It has an observation bridge over the forest canopy. Nothing better than to be out in nature with your best friend--as you know so well. It looks a very beautiful place for a walk. Your weather appears to be very like ours at the moment; a crisp chill, but sunny! I can see why you would enjoy it. Have a great day! Lovely pictures. Nice dragonfly capture. Great capture of that dragon fly. Every time I try to take a close up picture of a bug, they get scared and fly away. Good job! Such a cute shot of your little dog on the boardwalk! Looks like you had a lovely walk! Lovely peaceful photos, thank for my morning inspiration! ohhhhhhh... I like these very much. we have a bit of a "nip" in the air, too. only about 75 out there when Gracie and I had our Morning Adventure. she would surely love to play where you two played!! I just love an adventure!! Good for you taking the time to do it. Of course...the cutie always makes it a special photo. love the boardwalk! and how it curves and seems like it goes forever. Did the dragon fly make all these holes in the leaves ? I love the doggie picture ! Dragonflies are everywhere at the moment. I found two last week that had reached the end of their lifespan. I took lots of pictures and life still vibrates through the images. i made my way to a blog that i really love. have a great day from start to finish! Boardwalks are like stairways. There is always a little bit of mystery as to what you'll find at the end. Lovely pics...love the dragonfly on the leaf...great catch! Pretty! Looks like the perfect weather for a long walk. Looks like a lovely walk. I nearly missed the dragonfly! 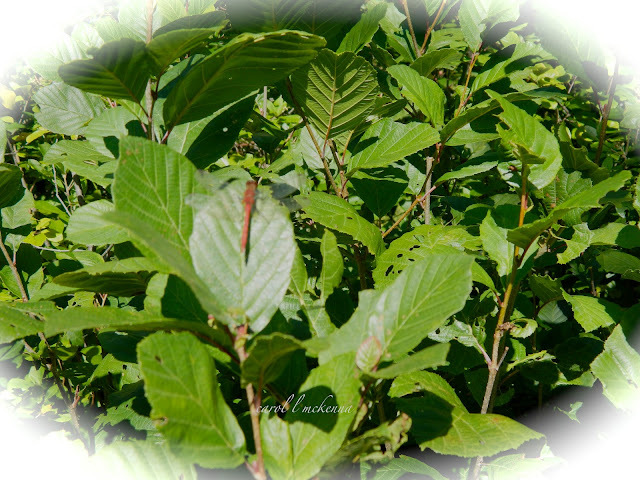 I love your photos Carol, and really appreciate how you continue the dialog when leaving a comment on my blog.